Skin lightening is a cosmetic procedure that aims to lighten dark areas of skin, or in some cases, achieve a generally paler skin tone. In most cases, the skin lightening soap is used to improve the appearance of blemishes, including birthmarks and dark patches. In addition to using skin lightening creams and soaps, some people opt for chemical peels, or laser treatment for skin lightening. But no matter what type of skin lightening procedure you choose, one thing is certain. Just trying a skin lightening procedure is a major decision. You have to be absolutely sure what your reasons are. Nowadays, skin lightening can be used for beauty purposes, but also for medicinal use. We are now at the point where doctors recommend skin lightening for certain medical conditions. With that in mind, let’s talk about how the procedure works, what are the possible side effects, how to do it properly, and what are some of the best skin lightening soaps on the market. 4 How to use skin lightening soap? 6 What to do if you notice problems? 7 How long does it take to see results? First thing first, the goal of skin lightening is not to bleach your skin. Instead, the goal is to fade out unwanted blemishes. The process does that by inhibiting melanin, the main substance responsible for the color of the skin. Melanin is a class of dark polymers generated by the body through a special process. Our skin has different layers. The base layer is the one where skin cells form and divide to create the outer skin layer. In the outer skin layer, cells called melanocytes transport the melanin pigment. Hyperpigmentation is a condition where enzymes produce too much melanin. Skin whitening products, be it soaps or creams, work by reducing the presence of melanin in the skin. Many people think of skin lightening as skin whitening. And that is plain wrong. It is important to know the difference between these two procedures. That is how you can buy a product that is designed for your problem, and avoid possible side effects. And of course, one that works. Skin lightening and skin whitening are sometimes interchangeable terms. But there is a big difference. The goal of skin whitening is to lighten or fade the complexion beyond the natural skin tone. 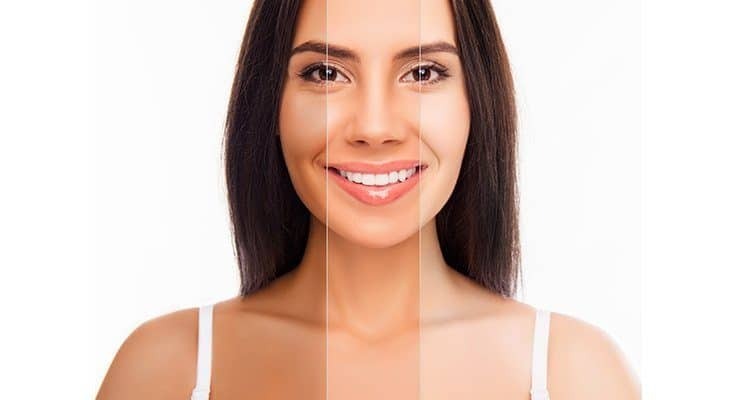 Skin whitening is sometimes called skin bleaching, and it is quite controversial, and often brings side effects. Skin lightening, on the other hand, is a goal where you try to achieve a lighter complexion. Nowadays, skin lightening is not a purely cosmetic procedure. For some people, skin disease can be a real hurdle they cannot easily overcome. Dermatologists nowadays have started to prescribe skin lightening medication to treat diseases that lead to discoloration or hyperpigmentation. The most common condition is post inflammatory pigmentations, one that can happen to anyone. In post-inflammatory pigmentation, dark spots appear because of injury to the skin. Or in some cases, inflammation like acne. In both cases, the spots can be faded by applying for medicine like creams or soaps. We talked about the difference between skin lightening and skin whitening. The latter is actually bleaching, and there is no such thing in skin whitening. That means skin lightening is considered safe and secure. There is a potential for side effects in almost every procedure. When it comes to skin lightening, the procedure and treatment is safe only when used in moderate amounts. Dermatologists recommend short term usage. Long-term usage of skin lightening soap or cream can have potentially harmful effects. You also might experience side effects if you use products with a higher percentage of hydroquinone than the FDA approved 2%. Some natural products like lemon can act as natural lightening agents. If you are reluctant to use some chemicals on your skin, consider natural products. Simply peeling or exfoliation can do the trick in some cases. How to use skin lightening soap? As mentioned previously, skin lightening products are generally considered safe. But as with many products on the market, there is a right and a wrong way of using them. You can always talk with your doctor or dermatologist, and he advises you how to properly use the soap. What to do if you notice problems? The first thing you need to do if you notice side effects when using a skin lightening soap is contact your dermatologist or doctor. That is, if he is the one prescribing the product. If there are severe side effects, like a rash, swelling, or increasing pain, do not hesitate and call the emergency apartment. This is one of the most common questions people have regarding skin lightening products, be it the soap, cream, or any other type of treatment. The important thing to understand is that nothing happens overnight. It can take up to a few months for the soap or cream to inhibit enough melanin so that there are noticeable results. That means, never trust a product that claims you can see results within a week. Those are only marketing tricks, and usually, do not work. Be patient. Even if there are no results within one or two months, move on to a different product. But with the products we recommend, we are confident you will see results. With that in mind, let’s take a look at the recommendations. With its high exfoliating properties, this soap will help you with all blemishes and dark spots. And it is still gentle on the skin, unlike many other soap products. Contains papain enzyme, which is responsible for destroying the protein causing acne scars, blemishes, and uneven skin tone. You can also use it for damage done by sun exposure. 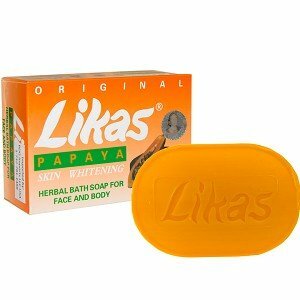 The best part about the soap is that it helps get rid of dark spots, without making your skin dry or any side effects. 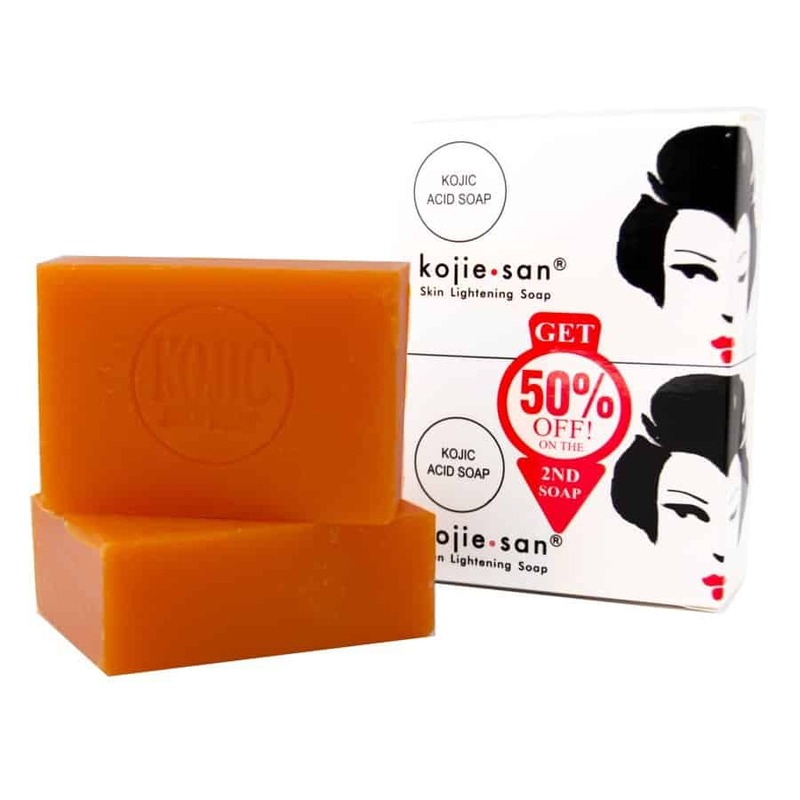 Marketed as the fountain of youth, the soap is rich in vitamin A, vitamin E, and other antioxidants and anti-aging ingredients. All of these help the soap rejuvenate and refresh your skin. Thanks to charcoal powder, the soap will help get rid of any dirt and bacteria from your pores in addition to lightening your skin. Last, but not least, the soap is organic and made in the USA. There are no parabens, alcohol, petroleum, fragrances, dyes, or any other harmful ingredients in it. A budget-friendly option, this one still produces great results. Manufactured originally for people with sensitive skin, the natural product works on all skin types. 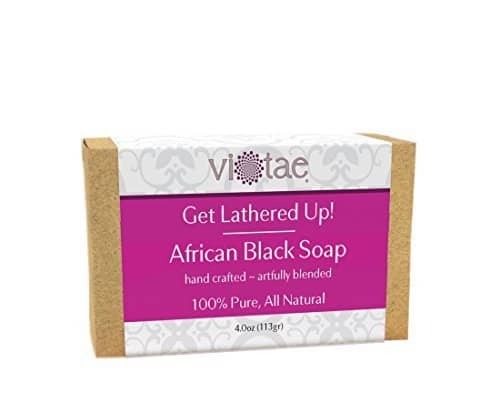 If you are looking for a gradual change, this soap will do the trick. Made of 100% organic herbs, the soap is also enriched with natural papaya enzyme, making sure your complexion becomes fair and acne-free. The best part about the soap is there is no strong odor. You can use it to keep your skin smooth, young looking, and repair sun damage. Bear in mind, some people might need more time than others to notice any noticeable results. You can use this soap for your face, and your body as well. The main usage of the soap is to eliminate age spots, freckles, sunburned spots, but also treat uneven skin. But this soap goes a step further, and helps protect your skin by minimizing scars and red marks appearance. Thanks to the ingredients, the soap is effective in restoring skin health as it contains coconut oil. The best part about this soap is that it actually moisturizes your skin. Usually, for this price, you can get one bar of soap, but in this case, you get 2 bars, which means the product will last a lot longer. The formula is designed with natural antioxidants, and a healthy dose of essential minerals, proteins, and vitamin E. Kojic acid is the main active ingredient which stimulates whitening and helps with wrinkle-control. Because of that, the soap is not only good for whitening of the skin, but also as an anti-aging treatment. Use it to fade scar and blemishes from your skin’s surface. The soap contains no hydroquinone in the formula. The best part about the exfoliating soap is that you get 5 bars when you purchase it. You need to apply two times per day, and remember to wear sunscreen. If you leave it on your skin for a longer period, it will burn more, but the results will be better over time. Just remember, do not let it sit on your face, as it can cause breakouts. A quick soapy lather and immediate rinse is the best way to use the soap on your face. 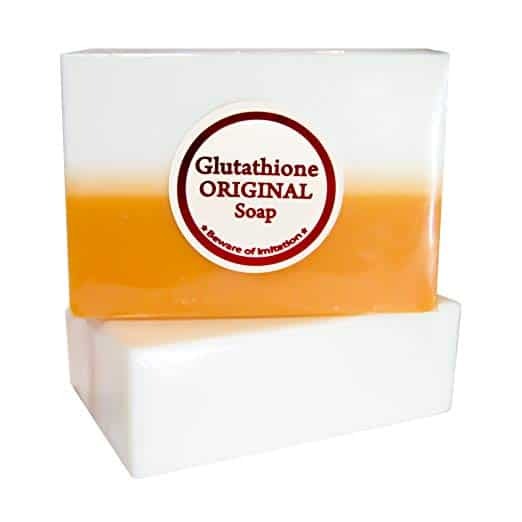 This soap was designed to lighten blemishes, all while providing a gentle cleansing formula. The soft rose scent is what makes it unique and loveable by many people. 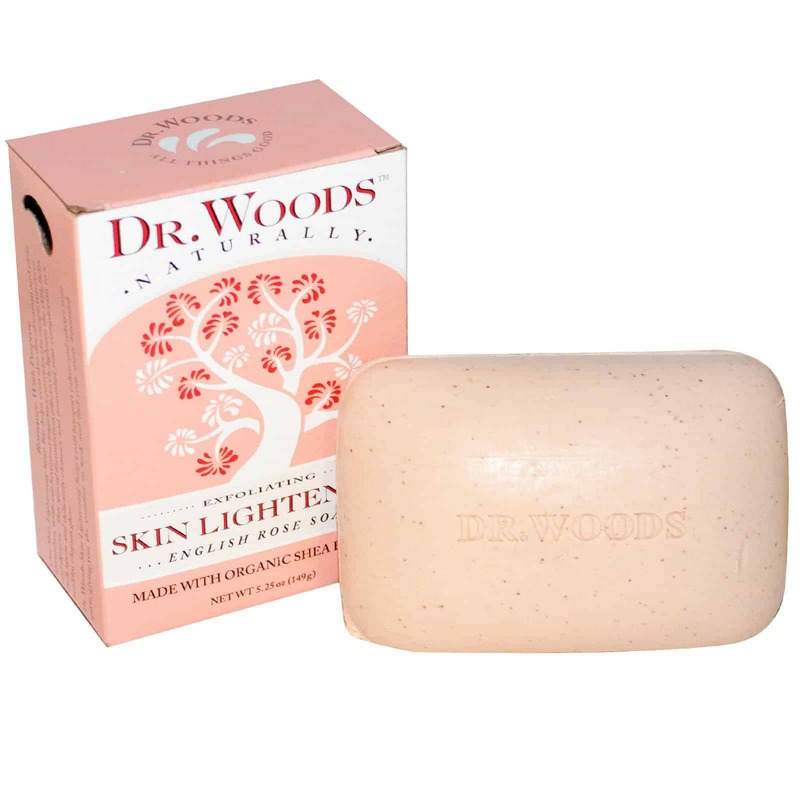 The soap is highly effective in lightening dark spots and smoothing your rough skin. In addition to rose water, it contains organic Shea butter, a great source of vitamin A and vitamin E.
There are also essential fatty acids in the formula that help balance your skin. Can be used daily on all skin types, from dry to oily. It is also suitable for both young and aging complexion.